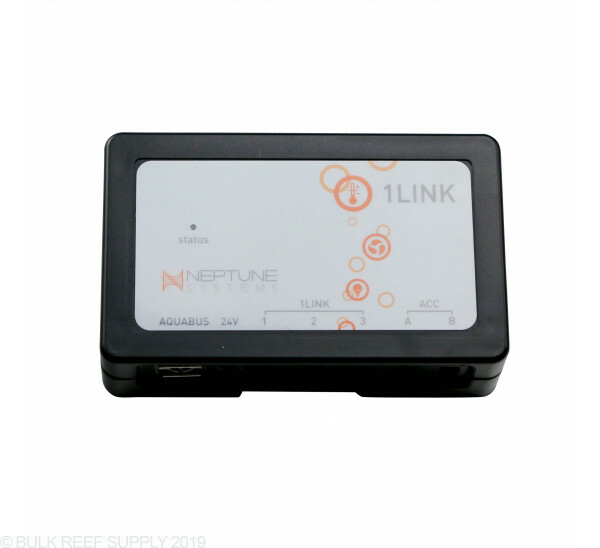 The 1Link Module from Neptune Systems will hook up to any current Apex controller and allow control of the WAV pumps. 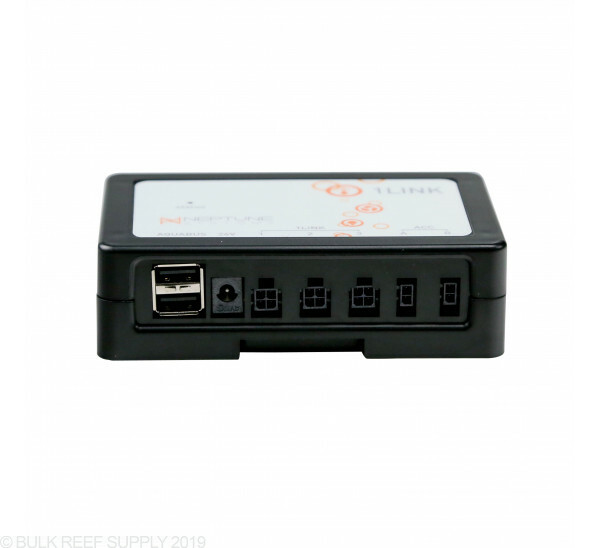 A single 1Link module can control up to 3 separate WAV pumps off a single outlet or two WAV pumps and 1 DOS pump, saving outlets for other pieces of equipment. If you use the 1Link and WAV pumps with Apex Fusion you can get access to many different flow modes to control one of the smartest pumps on the market today. 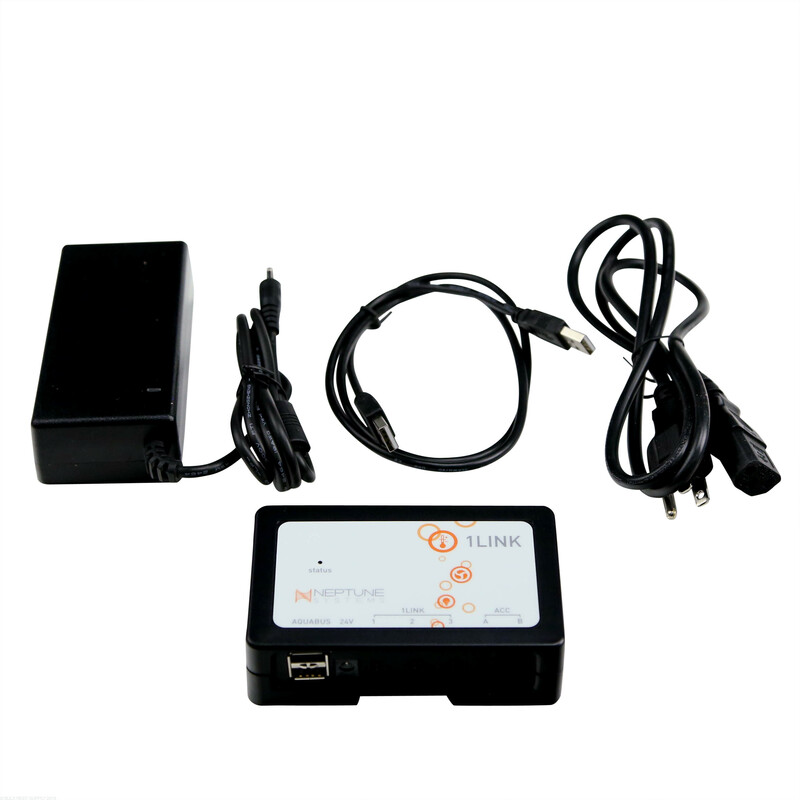 Compatible with Neptune DOS Fluid Metering System and Neptune WAV pumps. 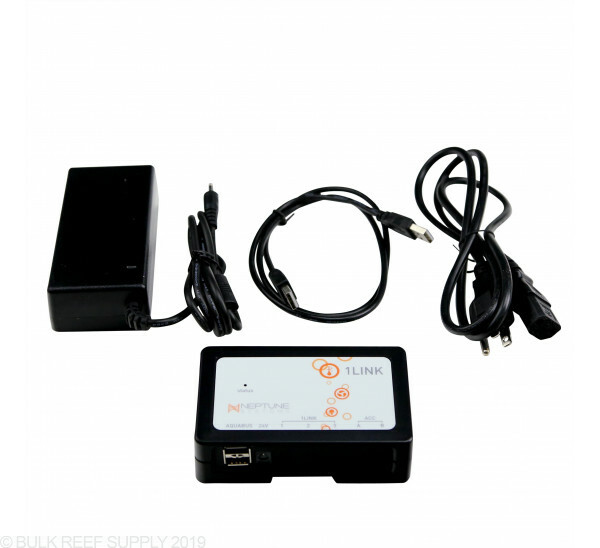 The WAV is the first of a line of aquarium products from Neptune Systems that will use a completely new interface. While many in the aquarium world continue to embrace wireless technologies for interconnectivity, Neptune has decided to use a wire. 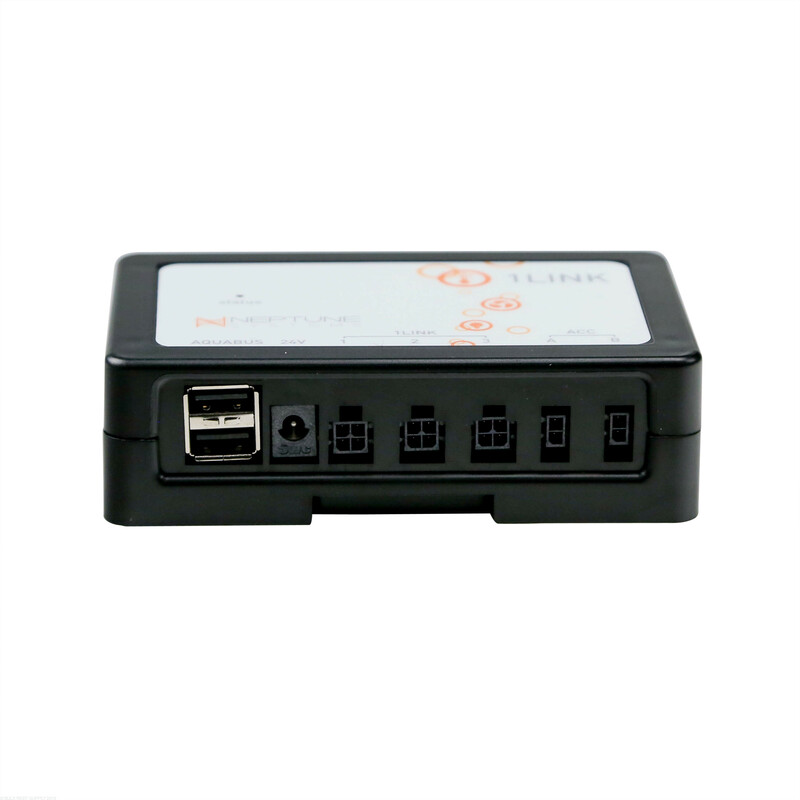 Wireless connectivity from your smartphone or tablet to your Apex (or other controllers) is completely logical – and we embrace that. 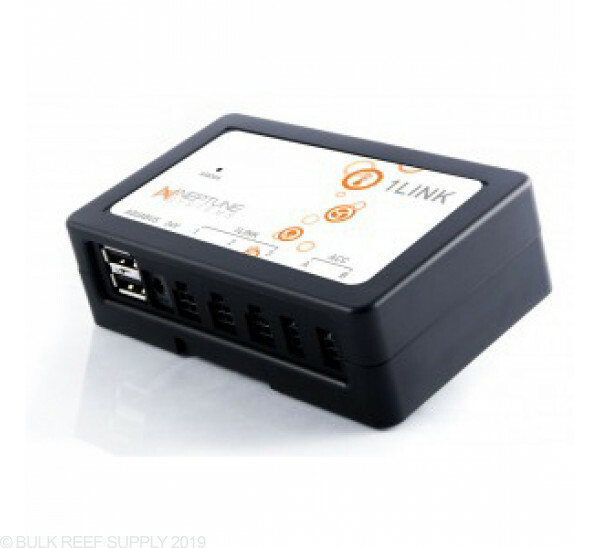 However, wireless used for the interconnecting of devices within the confines of common aquariums (that are mostly less than 6′ long) is not only unnecessary, but it reduces reliability. 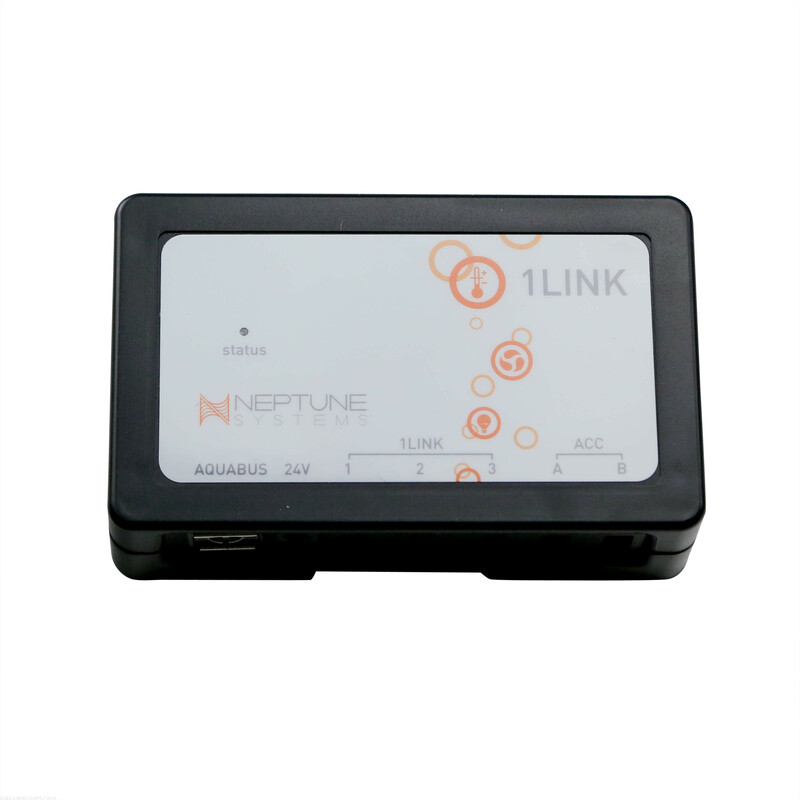 Neptune's philosophy is that when distances are measured in a few feet, wireless is a solution looking for a problem. And ironically, wireless really does not save wires. You still need to use a wire to get power to the devices anyway. Also let’s not forget configuration – wireless devices require syncing, endless button presses and arcane steps to get them to connect up – hopefully with you and not your neighbor. Finally, for all this “benefit”, you as the consumer get the added cost of this wireless technology that must be baked into the price of every device you buy. So after much study of the problem, Neptune's answer is the 1LINK. 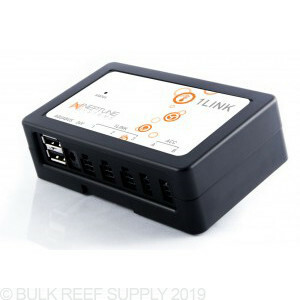 It is called 1LINK because there is one power supply, one module (for up to three 1LINK devices), and a one-click-connection of a wire that carries not only the power for the device but two-way communication from it to your Apex. Setup is simply click and go.